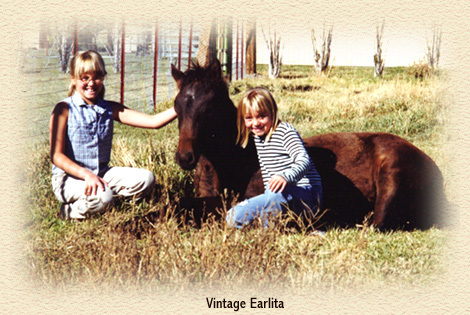 I am honored to feature these Vintage Morgans that are now making their owners proud and happy to own a Morgan horse. 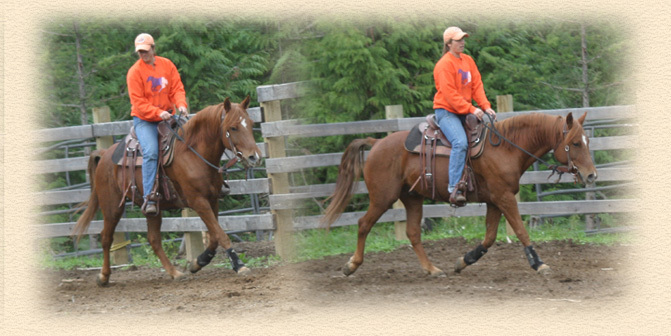 Now proudly owned by Jennifer Lewis of North Bend, WA. 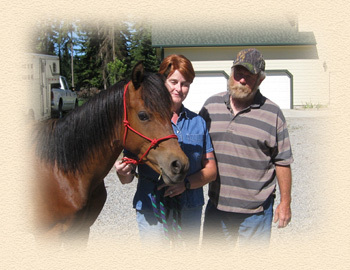 Jennifer plans to use Rubicon for dressage and in the events of Working Equitation, which is gaining in popularity in the U.S.
We are very excited to announce that Knight Rider is now owned by Dr. Jenni Lyn and Dan Grimmett of Sandpoint, Idaho. 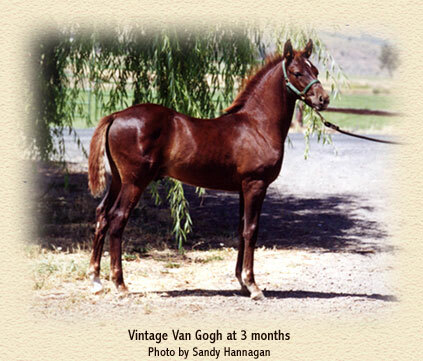 Dr. Grimmett, our veterinarian, was quite taken by this colt's presence on his first day and after seeing him on subsequent visits to Vintage Farm, decided that he needed to join Vintage Moonshine and several other Morgans at the Grimmetts. Now owned by Bryton Coker of Hayden, Idaho. Bryton plans to start using Firebird in 4-H.
Idaho. 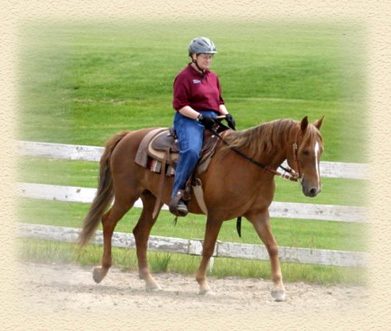 Jenni is training Moonshine and is shown working with him. 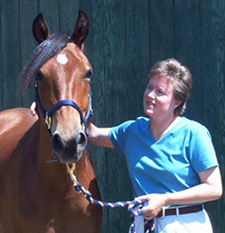 Now owned by Eliza Cilluffo of Hillcroft Farm in Boyertown, Pennsylvania. 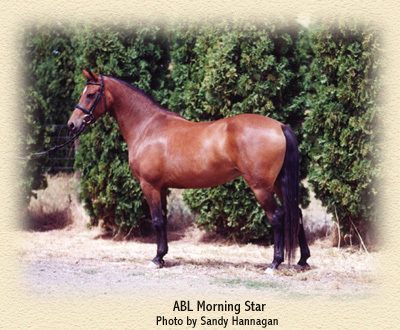 Eliza plans to use Halfmoon in her lesson program and is anticipating Halfmoon's 2011 foal from Sumrsnow Majestic." 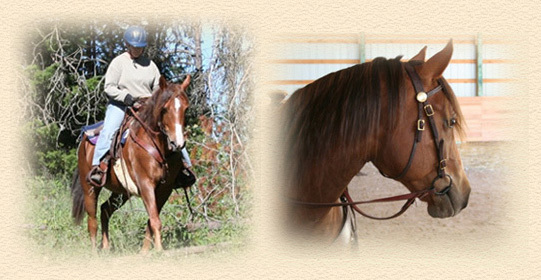 Maullie is now owned by Julie Hughes of Conroe, Texas/Stanley, Idaho. 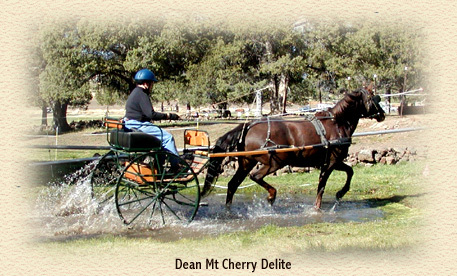 Cherry is now owned by Renee and Howard Mattox of Acton, California. 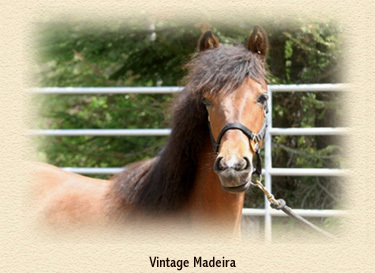 One of the last foals from Montez-sierradon. 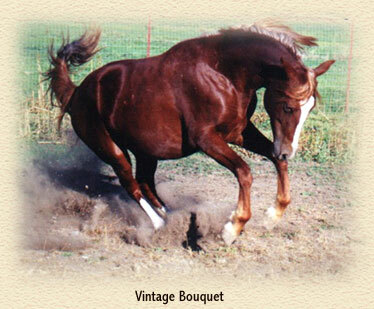 Exquisitely bred, all western lines. 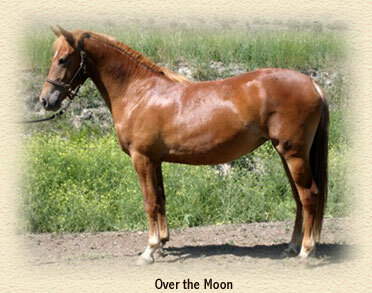 See a picture of her dam on the Western Mares page. This filly has a lovely head and great bone and substance. Stylish, balanced and athletic. Now owned by Ellen Ingold of Alton Pass, Illinois. Truly the perfect home for Madeira. Sold to Patricia Anselm of Acton, CA who is relocating to New York State. 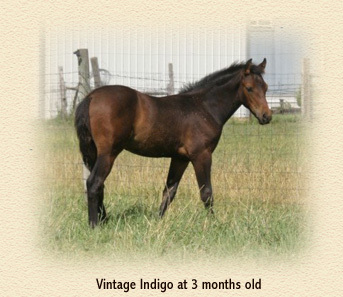 This colt is headed for a career in CDE competition with Tricia. Photo at 3 weeks of age. 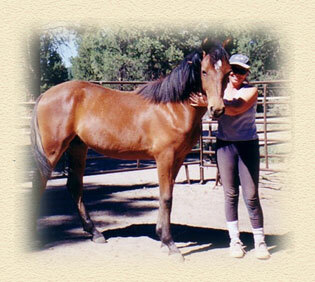 1999 brown mare on the day she was weaned. 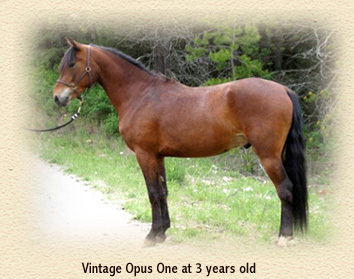 Now owned by Eileen Sparkes of Chiloquin, Oregon. at Henry Boyd CDE in Woodside, CA. Now owned by Ruth Crowley of Folsom, California. Oregon. Photo at 24 months old.